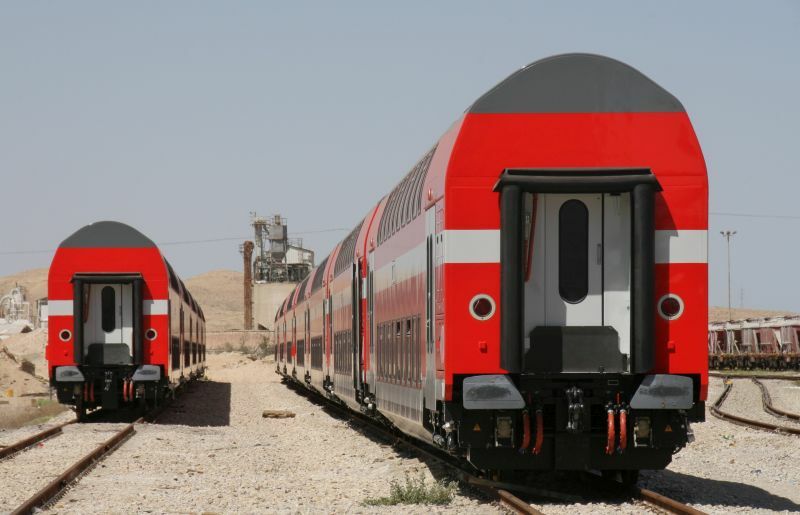 Rail technology leader Bombardier Transportation signed a contract on December 31 to provide 54 additional BOMBARDIER TWINDEXX Vario double-deck coaches to Israel Railways (ISR). This call-off is part of a framework agreement signed in October 2010 and is valued at approximately 104 million euro ($126 million US). Delivery of the new coaches is scheduled to be completed by August 2020. "The new coaches will be fully compatible for revenue operation on ISR's first electrified line, the A1, which connects Tel-Aviv and Jerusalem. Together, ISR and Bombardier teams collaborated closely to develop the necessary technical adjustments required to enable the trains to operate in tunnels and on electrified lines. We also considered local and international standards to ensure and further increase safety for both operator and passengers, while keeping comfort in mind", said Mr. Avi Zalman, Head of Development and Engineering Rolling Stock Division, Israel Railways." "We look forward to Bombardier continuing the on-time and on-quality delivery of our double-deck coaches so we can provide the expected reliability and availability for this important new A1 line", he added. 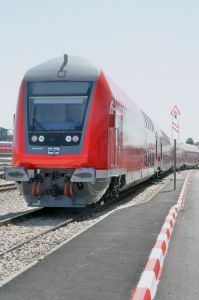 Yossi Daskal, Chief Country Representative Israel, Bombardier Transportation, said, "Israel Railways' vision of an electrified network is becoming a reality. We are proud to continue playing such a major role in their ongoing modernization by providing our modern double-deck coaches. Together with ISR we will continue transforming this growing market and meeting its increasing need for public transport." The new order consists of eleven control cars, eleven intermediate coaches with dedicated space for people with reduced mobility and 32 trailer cars. The control cars will no longer use diesel generators to feed auxiliary systems like air conditioning as the BOMBARDIER TRAXX locomotives that ISR has recently ordered will provide more than enough power for both traction and auxiliaries. Additionally, the driver's desk in the control car will be re-designed to be identical to the TRAXX electric locomotives' desk, scheduled to be delivered in 2018. 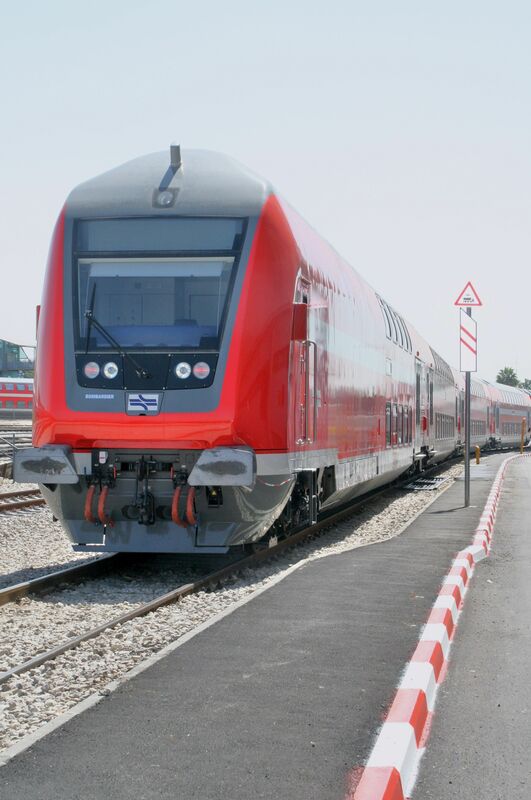 As a full solution provider, Bombardier Transportation operates a service depot in Haifa where the existing 293 double-deck coaches are being upgraded for a speed of 160 km/h and for electric traction. This month, ISR and Bombardier also started static and dynamic tests on the new TRAXX electric locomotive ensuring the delivery of the first electric locomotive in March 2018. Bombardier team continues qualifying local staff to carry out the final assembly of the coaches, recently-delivered at an ISR shop floor in Be'er Sheva, part of a call-off from March 2016. For news releases, related material and photos, visit our media centre at www.bombardier.com/en/media-centre.html. Please subscribe to our RSS Feed Feed to receive press releases or follow Bombardier Transportation on Twitter @Bombardier. BOMBARDIER, TWINDEXX, TRAXX and The Evolution of Mobility are trademarks of Bombardier Inc. or its subsidiaries.